We track every Xbox 360 video game purchase on eBay to bring you the most accurate video game prices around. Assassins Creed Brotherhood Collectors Edition XBOX 360 Harlequin - COMPLETE! 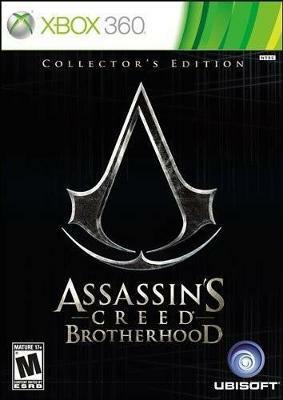 ASSASSIN?S CREED BROTHERHOOD COLLECTOR?S EDITION XBOX 360 EX+NRMT COMPLETE! ASSASSIN?S CREED BROTHERHOOD COLLECTOR?S EDITION XBOX 360 MINT COND COMPLETE! XBOX 360 ASSASSINS CREED BROTHERHOOD COLLECTORS EDITION- HARLEQUIN- COMPLETE!